Welcome to the April 27, 2018 edition of ACM TechNews, providing timely information for IT professionals three times a week. 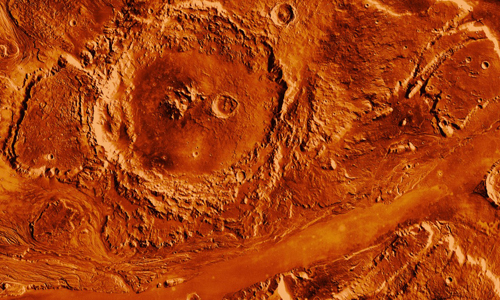 Researchers at the University of Manchester in the U.K. have re-purposed a machine learning approach used for assessing images of the topography of Mars to help scientists measure the effects of treatments on tumors. The researchers applied the machine learning technique, called Linear Poisson Modeling, to samples of tumors in lab mice and were able to demonstrate a four-fold increase in the precision of tumor change measurements of the beneficial effects of cancer therapies. Linear Poisson Modeling learns patterns within data and how they can change. Unlike other machine learning methods, Linear Poisson Modeling also can assess the effects of errors in data, providing predictions of how precise the results are. This technique also means that fewer samples are needed to provide highly accurate results. A new study conducted by researchers at the University of St. Andrews in the U.K. shows that the way mobile phone users interact with their devices could result in a phenomena known as "change blindness." In addition, the new research shows that mobile proximity-aware interfaces exhibit more change blindness than static displays. Change blindness occurs when users fail to notice a single change within their field of view. Change blindness can affect mobile device users as they move their devices, and could result in users missing important updates. "Application developers need to be aware of change blindness when creating mobile interfaces to ensure important updates are not missed," says University of St. Andrews professor Aaron Quigley. The study was presented this week at the ACM Conference on Human Factors in Computing Systems (CHI 2018) in Montreal, Canada. Researchers at Disney, in collaboration with colleagues at the Massachusetts Institute of Technology and Carnegie Mellon University, have developed the Force Jacket, a virtual reality (VR) piece of clothing that can simulate a wide range of sensations for the user. The jacket is connected to computer software that controls 26 inflatable compartments, reproducing a variety of feelings and adding new kinds of perception and depth to VR. The researchers hope the jacket can augment VR experiences typically limited to visual displays seen through a headset and simple hand vibrations felt through joysticks. The pressure and vibrations felt through the jacket can correspond with visual displays, allowing users to feel the actions they perform and view in a VR game. Europe's leading scientists have crafted plans for a multinational European institute for artificial intelligence (AI) research, as Europe strives to keep pace with rapidly advancing technology. The European Lab for Learning and Intelligent Systems (Ellis) would have major centers in several countries, including the U.K., each with hundreds of computer engineers, mathematicians, and other scientists. In an open letter encouraging governments to act, the scientists describe how Europe has fallen behind the U.S. and China, where most AI firms and universities are based. The letter adds that while a few "research hotspots" still exist in Europe, U.S. companies are continuously recruiting top talent. The letter calls for work on the new institute to begin this year, funded by participating countries as an intergovernmental organization. The institute's goal would be to ensure that Europe performs leading AI research, driving jobs and economies while enabling Europe to shape AI's impact on society. Researchers at the University of Washington, ETH Zurich in Switzerland, Purdue University, and Virginia Commonwealth University have achieved an optical communications breakthrough by developing a very small device that translates electrical bits into photonic bits significantly faster than current technologies. These new electro-optic devices are important for integrating photonics and electronics on a single chip. The new technology uses a particle called a plasmon polariton, with properties that fall between electrons and photons. This hybrid particle technology is referred to as plasmonics, which typically involves high optical losses, but the team has discovered a way to use plasmonics without suffering high optical losses. The new electro-optic modulator converts electrical signals into optical signals that can be transmitted through fiberglass optic cabling, or wirelessly via satellite and cell towers. University of California, Santa Barbara professor Dmitri Strukov is working to add an extra layer of security to Internet- and Bluetooth-enabled devices with technology that aims to prevent cloning, the replication of nodes on a network from which attacks on the network may be launched. Strukov created a chip that deploys ionic memristor (memory resistor) technology and cannot physically be cloned, making it impervious to hijacking, counterfeiting, or replication. The memristor is an electrical resistance switch that can "remember" its state of resistance based on its history of applied voltage and current. A circuit made of memristors has outputs that are extremely difficult to predict based on the inputs, making it difficult to reproduce. Memristor circuits also offer high throughput, speed, and energy efficiency, making them ideal for the Internet of Things. Researchers at Carnegie Mellon University's (CMU's) Human-Computer Interaction Institute have created origami that folds itself, in a project presented at the ACM CHI Conference on Human Factors in Computing Systems in Montreal this week. The team believes the work could enable flat pasta that takes shape when cooked, flat satellites that unfold in space, and furniture that assembles itself inside homes. The lab created the self-folding shapes using a three-dimensional (3D) printer; researchers noticed a problem with edges and surfaces warping, "but we've taken this disadvantage and turned it to our advantage," says CMU researcher Lining Yao. 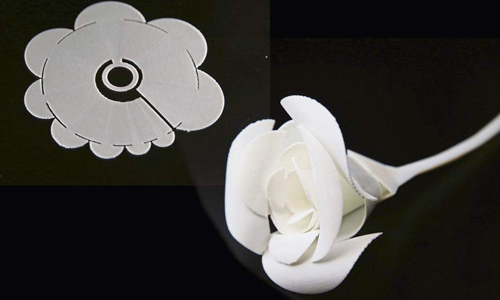 The researchers control the printer's speed and use some materials found to warp and others that do not; when the printed objects are placed in hot water, some of the material warps and some does not, creating a 3D shape. In the U.K., University of Leicester researchers have devised a new method for processing signals to find and track targets that are difficult to detect. The method analyzes multiple broadband signals using a novel mathematical approach called polynomial matrix decomposition. "Signal processing is used frequently in the modern world, such as in radar, sonar, and electro-optic applications,” says University of Leicester professor Jonathon Chambers. He says the work has potential for use in defense applications, including for the detection of anomalous behavior, as well as the presence of dangerous chemicals. The new method also could improve cybersecurity by detecting and preempting anomalies, he says. 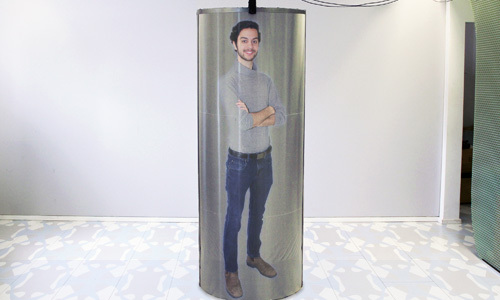 Researchers at Queen's University in Canada have developed the first truly holographic videoconferencing system, allowing users in different locations to appear before one another life size and in three dimensions (3D). The new TeleHuman 2 system, which relies on a ring of intelligent projectors mounted above and around a retro-reflective, human-size cylindrical pod, can project humans and objects in 3D as if they were inside the pod; users can view them from all sides. 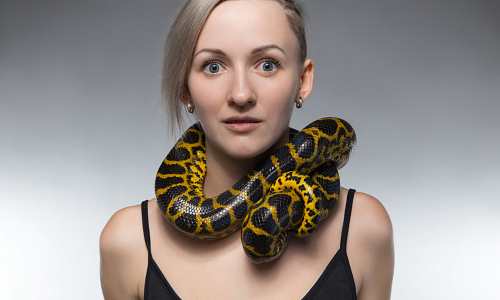 Queen's University professor Roel Vertegaal observes that face-to-face interaction transfers a massive amount of non-verbal information, much of which is lost in online tools, but "TeleHuman 2 injects these missing elements into long-distance conversations with a realism that cannot be achieved with" conventional online communication systems. The researchers presented TeleHuman 2 this week at the ACM CHI Conference on Human Factors in Computing Systems (CHI 2018) in Montreal, Canada. The U.S. Army is creating a virtual environment duplicating our planet in which to drill troops, hoping to make the experience so realistic that virtual reality missions will be almost as effective for training as actual experience. A new tool can automatically make a virtual reality environment of almost any location. Users draw a rectangle on a map, and publicly-available data sources such as Open Street Map are used to create the terrain. "We did the whole Korean peninsula this way, all from public sources," says the project’s chief engineer, Mike Enloe. The system also can incorporate topographical data and satellite photography. Using the new tool, the team spent only three days building virtual versions of North and South Korea, a feat that previously would have taken months. Gaming technology like virtual reality offers a faster, more cost-effective way to generate virtual environments based on real-world locations, according to Enloe. The Advanced Technology Institute (ATI) of the University of Surrey in the U.K. has developed a methodology to help designers of smart wearables predict how their products would perform once manufactured and in use. The technology is based on "triboelectric materials" that become electrically charged after coming into contact with each other, as a comb running through hair can generate a small charge. Using this static charge, Triboelectric Nanogenerators (TENGs) can harvest energy from movement through electrostatic induction. Different types of TENGs can convert almost any type of movement into electricity. The new tool offers designers better understanding of the output power their device would create. "TENGs are a leading technology to capture and convert motion energy into electricity, extremely useful in small-scale energy harvesting applications," says Ishara Dharmasena, the project's lead researcher. "We expect this technology in household and industrial electronic products, catering to a new generation of mobile and autonomous energy requirements." Researchers at Karlsruhe Institute of Technology (KIT) in Germany have developed a highly secure encryption method that involves combining a conventional encryption method with a chemical password. The new method calls for concealing the password in a small organic molecule; while the encrypted digital information can travel publicly, the key to reading the information is transported invisibly and without the knowledge of the environment in the form of a droplet of a chemical compound. The researchers used this method to reliably isolate chemical keys from various carrier materials, including paper, perfume, instant coffee, green tea, sugar, and pork blood. The information of the chemical key is hidden in the sequence of building blocks and the attached side chains. 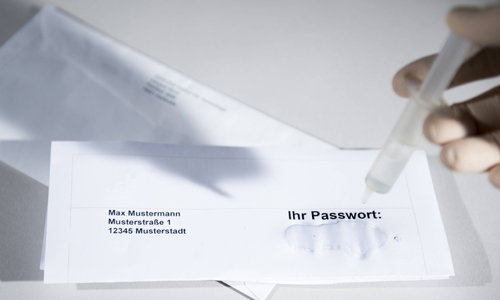 The advantage of a chemical password is that "we provide a highly robust secret channel that needs minimum amounts of the key molecule only," says KIT professor Dennis Hofheinz.